Window films reduce the amount of time your heater runs by allowing a room to heat up faster and stay warm longer. 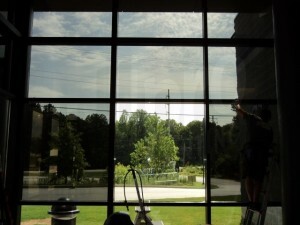 Window Films reduces fading from harmful UV radiation by 98%. Window Films reduces solar heat gain in summer and retains warmth in the winter. While window films originated in the 1960s, the technology has undoubtedly come a long way. Window films are now able to help keep the majority of cold air inside during the summer months and warm air inside during the winter months. This will help you save a significant amount on your heating and cooling bills, especially if your business is in a larger building and your energy costs are normally through the roof. Window films are now able to block up to 98% of the UV rays that come into your home or business that cause damage and harm to your skin and furniture. Window films will help you to save money as well since you won’t have to replace furniture or other items that may fade more quickly with the harmful and damaging UV rays. Additionally, window films can give you some protection from UV rays can also cause skin cancer with too much exposure. There are numerous benefits to installing residential and commercial window films in your home and office. Installing window films is an easy and affordable way to go Green, and with the money you will be saving on your energy bills, those window films will pay for themselves in no time. Here at All Pro Window Tinting, we specialize in window tinting and window films for offices, homes, and automobiles. If you are interested in window films or window tinting, you can visit our website for more helpful information on how window films might benefit you specifically. Contact us today for more information.